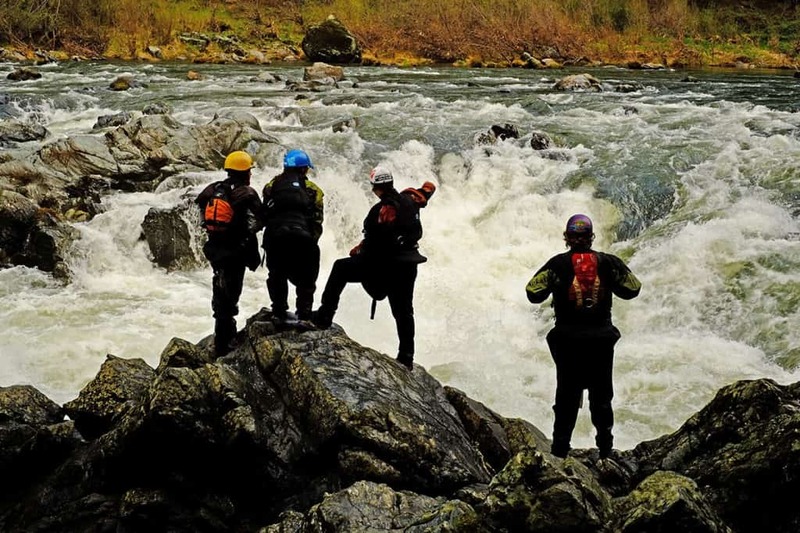 The Rogue River is one of the original eight Wild and Scenic Rivers and one of the best river trips in the world. Located in Southern Oregon, the Rogue starts in the Cascades and flows to the Pacific and boasts some of the best wildlife, scenery and history. Considered one of the best family multi-day trips in the country, the Rogue is perfect for first-timers and skilled boaters alike. The history of the Rogue River Valley is fascinating, and you can learn more about it by stopping at the Rogue River Ranch. The river got its name from French trappers who called the Native Americans "rogues" and called it the "River of the Rogues." Settlers later re-named it the Rogue River. In the 1920s and 30s adventure writing was becoming a popular form of entertainment, and Zane Grey made a retreat home along the banks of the river and referred to his wild adventures in much of his writing. Perhaps the best part of the Rogue River canyon is the abundance and diversity of wildlife. You will most likely see Bald Eagles, you can find newts in almost all of the side creeks, and you're almost guaranteed to see a bear or two. Bears are more commonly seen in the lower part of the canyon and are often seen by careful observers along the riverbank but are rarely a problem. 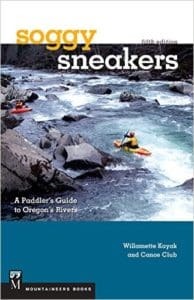 There are several places to begin your Rogue River rafting trip and most people put-in somewhere between the town of Galice and the Grave Creek Bridge. Just below the Grave Creek Bridge are the Class III rapids Upper and Lower Grave Creek Falls. Below here, the river is peaceful until the Class V rapid, Rainey Falls. Beyond Rainey Falls are many great camps and miles of fun Class II and III rapids before Mule Creek Canyon. Soon after Mule Creek Canyon is Blossom Bar, a formidable Class IV rapid that you will want to scout. The trip ends at Foster bar which is about an hour from the Oregon Coast and a couple hours from Galice. Mile 0: Put-in at Grave Creek Boat Ramp. Grave Çreek Rapid (III) and Grave Creek Falls (III) are immediately downstream. There are alternate put-in locations upstream at Argo, Almeda, and Galice. Mile 1.8: Rainey Falls (III or IV) has three distinct channels. The Class III Fish Ladder is a narrow channel on the far right that most boaters take. The center Mid Chute is a big drop after a Class IV move. The left side is famous water fall that few boaters run because it's a big drop into a large river wide hole. Mile 8.1: Upper Black Bar Falls can easily be scouted from the right bank. Most people dance their way down the right side of the river. Mile 8.2: The river turns to the right and Lower Black Bar Falls appears. Most people run the fun wave train in the right side channel. Mile 8.5: Black Bar Lodge was built in 1935 and originally used by packers and miners. 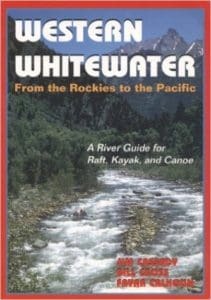 Now it is a typical first night stop for people rafting the river or hiking the Rogue River Trail. Mile 19.5: Mule Creek and Rogue River Ranch is a popular place to stop and with a few popular camp sites above and below Mule Creek. It's a nice walk across a grassy field up to a BLM maintained museum. Mile 20.6: Mule Creek Canyon begins with the rocks known as Jaws. Below here the river goes through a beautiful narrow canyon with boily water. The most difficult part is know as the Coffee Pot. Below here Stair Creek tumbles into the Rogue from the left side. Mile 22.7: Blossom Bar (IV) is a famous rapid that causes problems for many boaters on the Rogue River. You should pull over on the right side before hand to scout a route. There is a tricky move at the top of this rapid above the rocky Picket Fence which commonly wraps rafts. Mile 35.0: Take-out at Foster Bar.